I made this cheerful little number the other day. All the pom-poms were made while staying up way past my bedtime watching Making a Murderer. Side note: Are you watching that series? Holy-crazy. 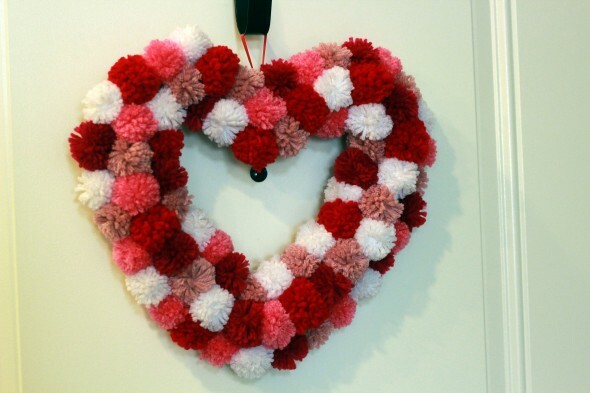 It was surprisingly hard to find a Styrofoam heart wreath. I found this one at Hobby Lobby in the Valentine section and it ended up working out better than a white Styrofoam heart that I was originally in search of. I didn’t have to paint the Styrofoam (in case any white peaked out) and I didn’t have to hang my own ribbon- one was already attached. All the yarn was purchased at Michael’s when it was significantly on sale the other week. I just hot glued the pom-poms to the wreath in no particular pattern and 10 minutes later we had a festive little wreath. 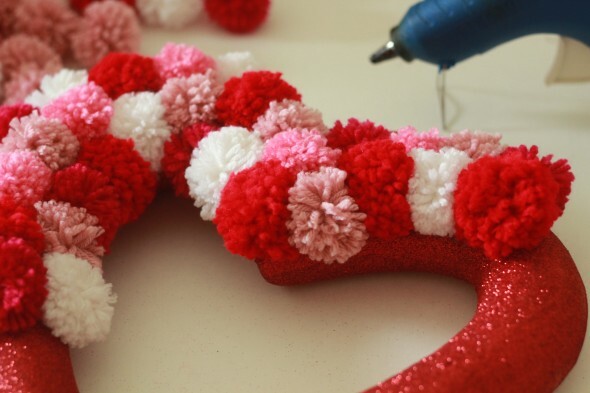 I have a 4-pack of Clover pom-pom makers like this 2-pack and it’s one of the best craft inventions every. This is soooooo darling and looks easy to do. Cool find on the red heart. 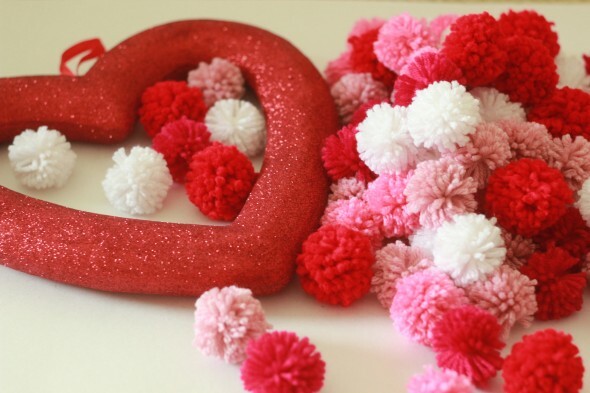 We love us some pom poms!